For some reason I have recently become obsessed with candles.. 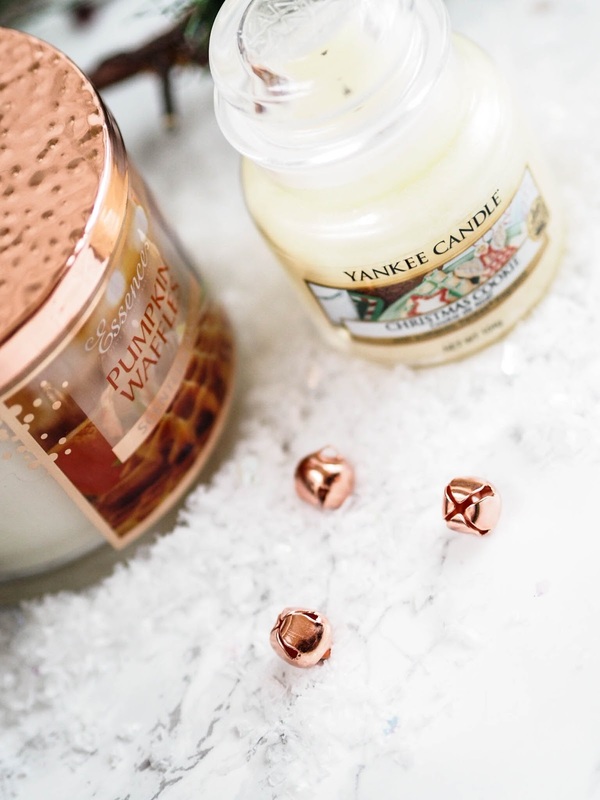 I think since I have redecorated the house and found my inner interior designer (scoff) I have realised the importance of hygge and candles play a massive part in that! Since it isn't practical for us to have a real tree this year I have been burning Yankee Candle's Christmas Garland constantly. I mean, it's not exactly the same but it is pretty darn close! I have also a new appreciation for B&M Bargain's candle range. Not only are they completely Instagramable, but they smell pretty lovely too. 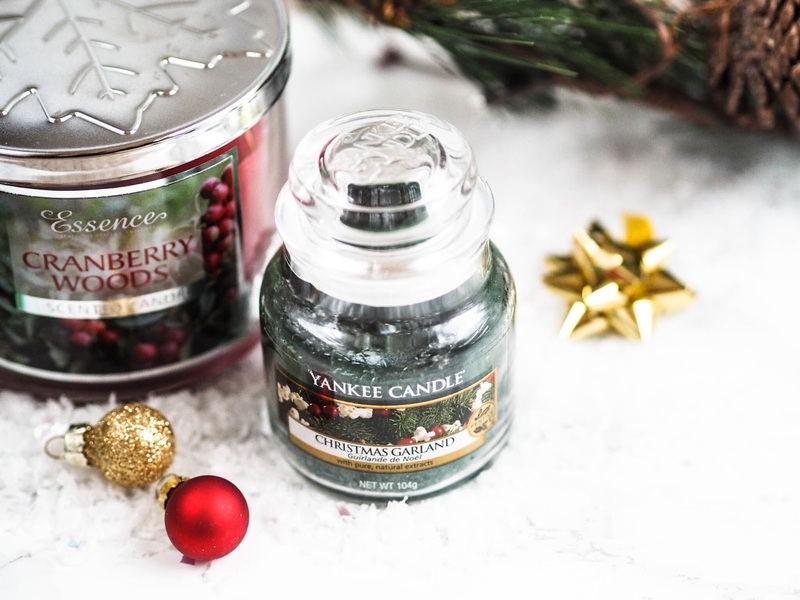 Cranberry Woods is the perfect bedroom scent. 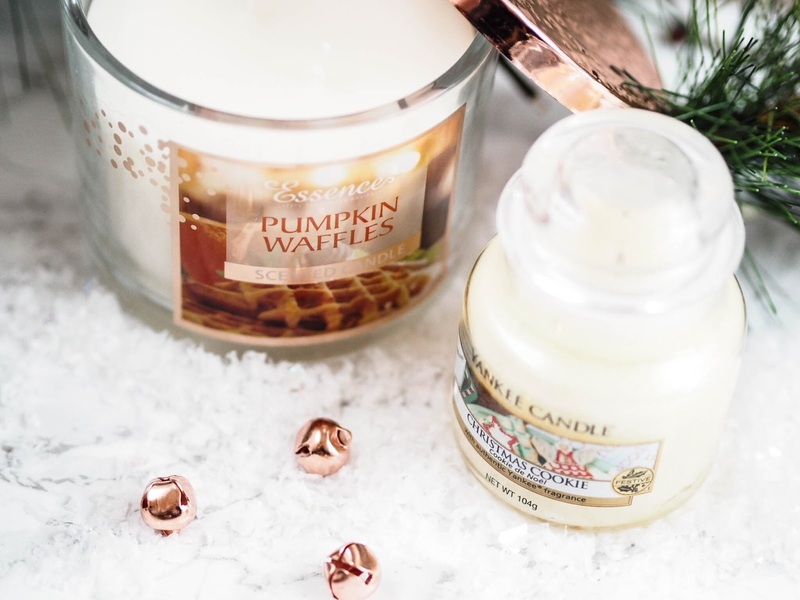 B&M Bargain's Pumpkin Waffle is honestly too pretty to burn. Copper? Oh yes! It is just one of those candles I just like to look at. It is currently sitting pretty on my bedside table at the minute. I currently have Yankee Candle Christmas Cookie burning in the kitchen. Obviously! Since I don't get much time to bake anymore, this smells just as nice.. and kind of makes me think I have a fresh batch of sugar biscuits in the oven. I wish!